Choosing The Best Scoopable Litter for Your Cat - Play With Meow! Cat lovers understand the joy it gives having a cat at home. Not only it offers a rewarding feeling, most pet lovers are aware of their independent behavior so groom maintenance requires less effort and time compare to other pets. Owners don’t need to bathe their cats every now and then and don’t have to walk them out during the cold or hot season. The only thing you have to deal with when owning a cat is to clean their smelly dirty litter box. We love our cats but there are times that we can’t just manage the litter box. Most cat owners are sick of handling it. In this article, you will read the best cat scoopable cat litter. There are many options to choose from and we’ll help you decide which of them have the best reviews online. There are also several factors to consider before purchasing a cat scoopable cat litter. In this way, you have to be certain when making a decision. 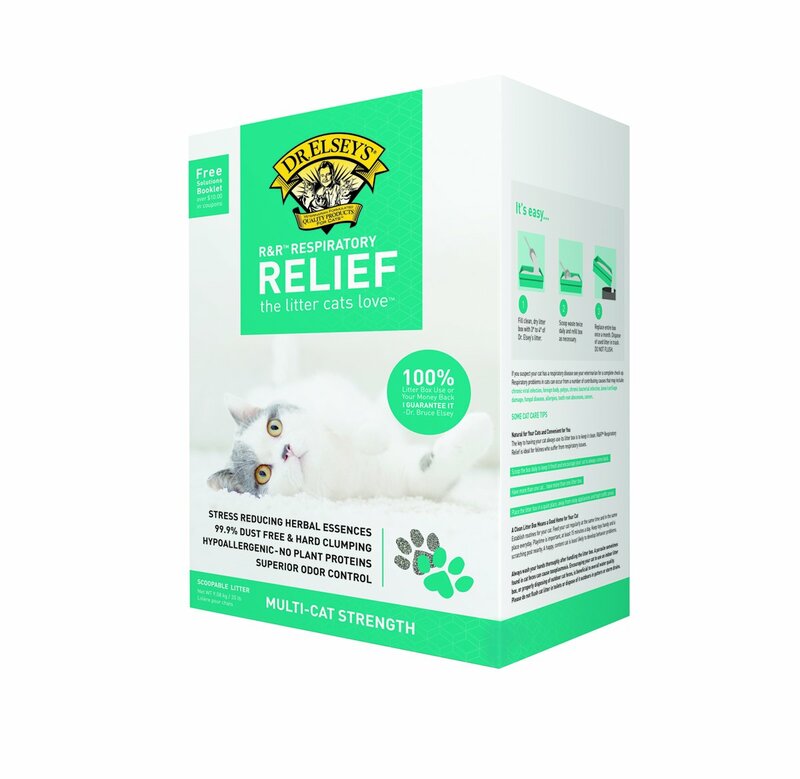 This cat litter review site will make the options available for you. What are the Advantages of Using Scoopable Cat Litter? What Do You Need to Consider in Buying Scoopable Cat Litter? Why Choose Scoopable Cat Litter Nowadays? What are the Best Cat Scoopable Cat Litter? Why Loved by Most cats? Let’s talk about first the different kinds of Cat Litter Box. When choosing a scoopable cat litter type for your friend, there are several products to choose from. Pet owners only want the best for their cats, so it is just right to take time selecting what is right for their furry friend. Natural Litter Box – This litter box is made up of fiber and other natural components. If you are living in an eco-friendly environment, this type of litter box is the right one for you. Scented Litter Box – Scented is used to eliminate unnecessary odors and to keep the litter box smells fresh all day long. However, there are cats that are not used to scented litter box so they may not be able to use it. Litter Box for Multiple Cats– If you have 2 or more cats sharing in one litter box, this can cause a big problem. If the other cat smells the feces of another, they may not be able to use this litter box and look for a place where they can defecate. Multiple litter box is helpful to eliminate odors and also make the other cats use their own litter box. Most cat owners find scoopable cat litter easier to clean up. It is very important to know that no matter what kind of litter box you decided to purchase, it should always be cleaned daily and change it as often as possible. When selecting the right Scoopable Cat litter, there are things you need to consider before buying it. Here are some helpful tips to make sure you get the quality you are looking for at the right price. When it comes to price, this is one thing that most owners are looking forward to. Look for the litter that you get what you pay for. 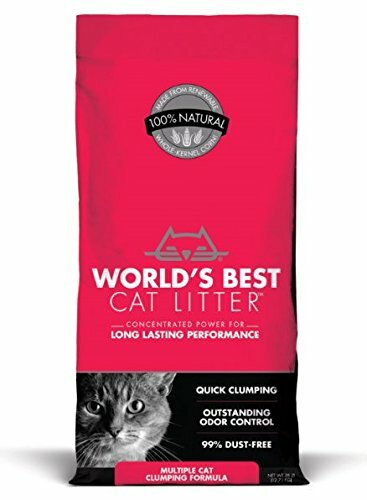 A cheaper scoopable litter usually save you money a lot but in the long run, it may not function the way it was due to low quality. In this case, owners tend to change litter box every often. Think about the quality before purchasing the product. It’s not about the price but it’s about the quality. There are cat owners who ignore cat litter because of the dust it creates. This may cause a respiratory problem to cats and other members of the family. In order to keep your family and friend safe from such risk, look for a litter box that is built with natural components to eliminate dirt in the area. As mentioned previously, multiple cat litter is better if you have many cats at home. The traditional litter box may not be very effective. Look for the product that is created to eliminate such odor. Cat litter comes with different kinds and brands. This is the right time to search for reviews and compare prices online. You can also go to the nearest pet shop to compare. Make sure that the cat litter you are going to purchase is eco-friendly and biodegradable. There are cat litters that are not biodegradable, always check the label before the purchase. There are cat litters that can be flushed to your toilet. This is one good example of an eco-friendly litter box. Ask the supplier about this or check the label for instructions. Are the litter box can manage the odor? Not all cat litters can do this. Scoopable cat litter is well known for it since the product can eliminate unnecessary odor. Are the surface and appearance very entertaining to your cat? There are cats that do not prefer crystal litter box because for some reason, it irritates their sensitive paws. You better get to know your cat very well before purchasing such item. By using scoopable cat litter nowadays, pet owners now can easily clean and scoop the dirt making the cleaning process easier and effortless. Scoopable cat litter also provides a fresh smelling home for the owners making the whole family live in a healthy environment. This product is also eco-friendly and does not contain dirt around the area. It is flushable as well in the toilet making it good for the environment. There are also advantages and disadvantages of using Scoopable Cat Litter. It is just right for pet owners to observe, read reviews and weigh each of these products before purchasing it. Select what you think is better for your cat. Be careful to some cat litters that has a sodium bentonite. Always check the label for more details of the product. This chemical may cause a serious health problem to your friend. Cat litter is loved by most cats; give them the right litter box they need. This litter box is very affordable. If you don’t want to spend so much of your money for litter box yet looking for a quality one, this can be the right option for you. It has different sizes. Disposing of feces is easy and effortless. Urine and liquid substance may not reach the pan. 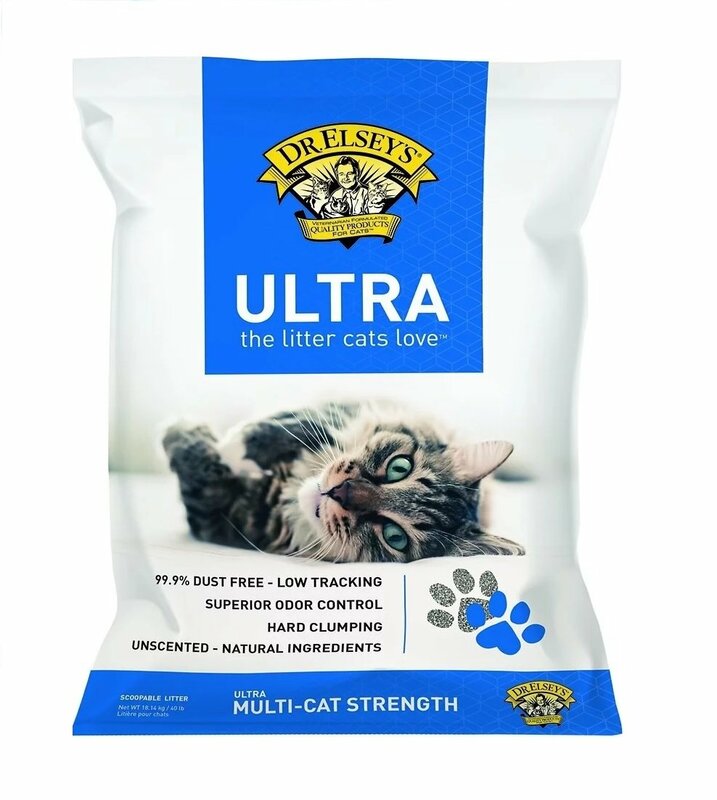 If you don’t want excess dirt or dust, this cat litter can be right for you. It provides a minimal dust and does not cause any respiratory issues for your cat and the whole family. Owners do not need to worry about exposing their cats that have allergies to go into the litter. It is manageable. This product is all natural. The lesser the chance of getting a respiratory infection due to chemical substances. 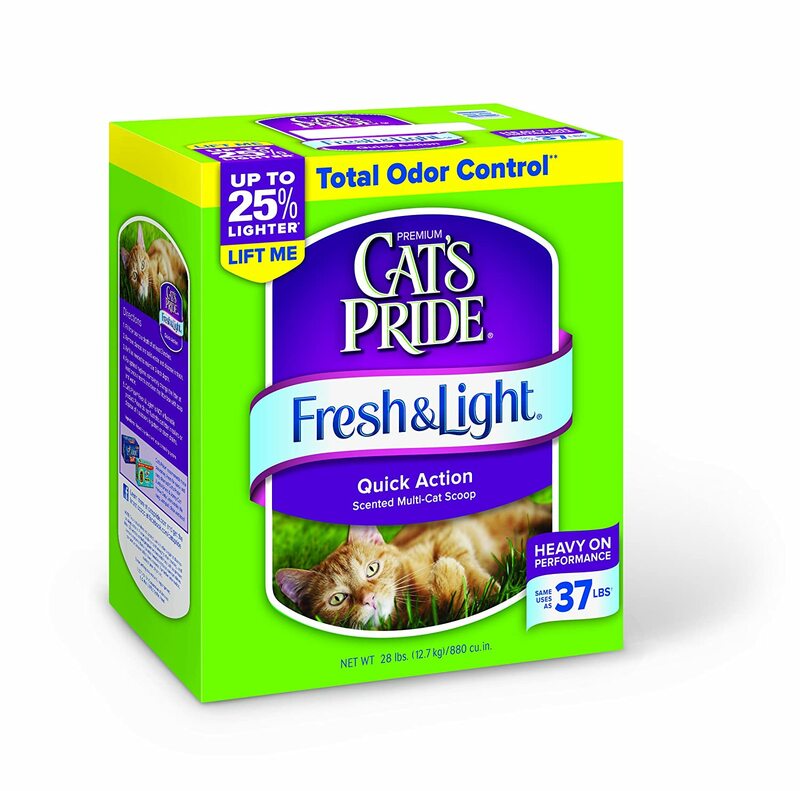 If owners are looking to remove 100% odor, this litter is best to purchase. It is 99% dust free. It makes the scooping process easy and fast. Ideal for families with many cats at home. Due to the natural corn designed for the product, the odor is lessened inside the litter box. Other cats won’t mind using the same litter box because of odor free. This is intended for pet owners looking for products that can fight odor effectively. It’s good for cat lovers who are on a tight budget. 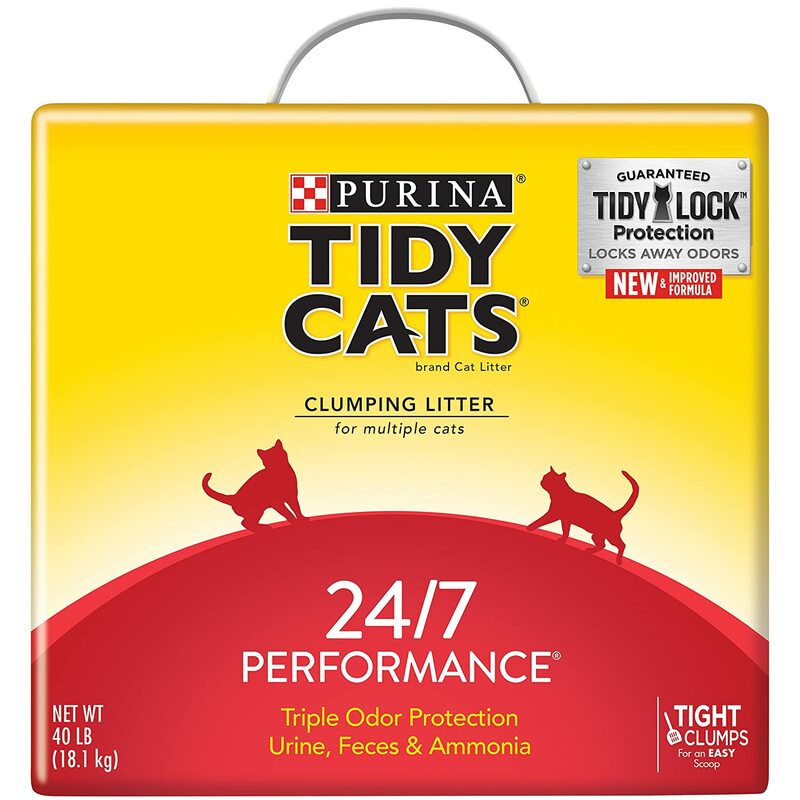 If pet owners are sensitive to odors all day every day and can’t keep the litter clean daily due to busy schedule, this product is right for you. Just like any other traditional cat litters, the Scoopable Cat Litter will soon break out if pet owners do not know how to clean them within the given period of time. Any cat litter must be scooped and clean twice a day, every morning and night time. All the given reviews above are excellent but we suggest to purchase Cat Litter Box with World’s Best Cat Litter. It may be quite expensive but the quality is good. Just be careful in selecting the one with wide sizes that may seem close together. The product from World's Best Cat Litter can properly scoop the feces and does not leave anything behind. It is eco-friendly, absorption is excellent and durable. The clumps of this product cannot be easily damaged and can last for a long period of time. Remember that if you have decided to switch to different type of cat litter, do it slowly. Add a little amount or presence of the new cat litter to the new one every time you need to clean it. Cats can be sensitive to sudden change. They are very meticulous with the texture and easily notice new smell of the litter. So it is very important to take these steps slowly and surely. Let your cat adjust to the new litter box. Sometimes it may take some time. Cat Litter Box with World’s Best Cat Litter is the best option for the whole family and their beloved cat. It is worth the try and simply the best for your precious friend. It is ideal for one cat or multiple cats at home. Even visitors will not recognize you have cats when this litter box is purchased. Not only it controls the odor but it gives the owners the feeling of joy for spending more time with their cat and not cleaning on their dirt and feces. Cats find cat litters very attractive due to the texture and sandy effect it creates which motivate them to use the litter box more often. It also contributes good effects for the owners because it manages the odor inside the home and makes the cleaning process easier. Remember to clean the cat litter box daily. It is quite overwhelming to select from different kinds of Scoopable Cat Litter online. Always check the labels and what the cat litter is made of. The kind of materials used for this litter. You may also need to consider the brand, specifications and quality. All the products mentioned above are some of the good examples of Scoopable Cat Litter online with good reviews. All the products above have advantages and disadvantages, it will be advisable to review it very well to get the right product which is good for your cat and for the whole family as well. Previous Post Do Your Cats Like Peanut Butter?The Best Answer You Can Find Here Next Post How to Detect and Clean Cat Urine Spot in 15 ways ?